When it comes to drawing most of us like to mix things up by sometimes drawing something from imagination and sometimes picking out something that fascinates us no end. 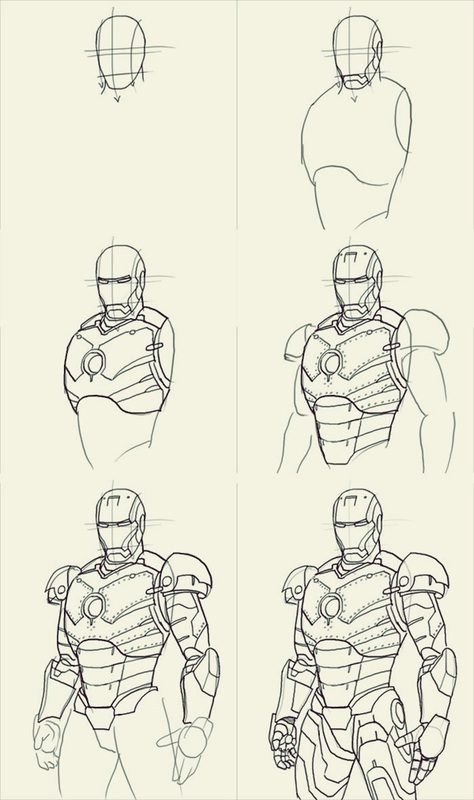 In this article, we are going to talking about how to draw Iron Man, the legendary hero of the Marvel comics. Grown men are known to have dedicated precious time and energy to recreate scenes from various episodes of Iron man. 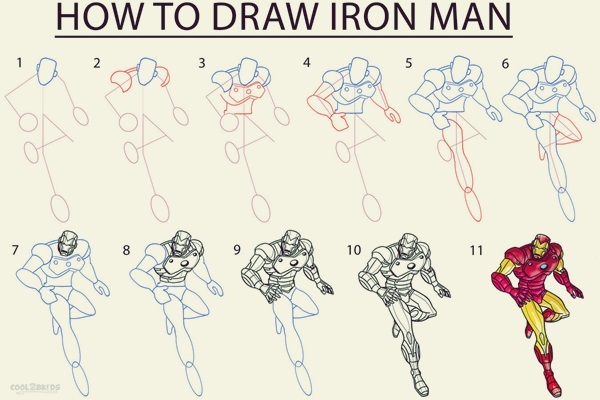 Here, you’ll learn how to draw iron man. 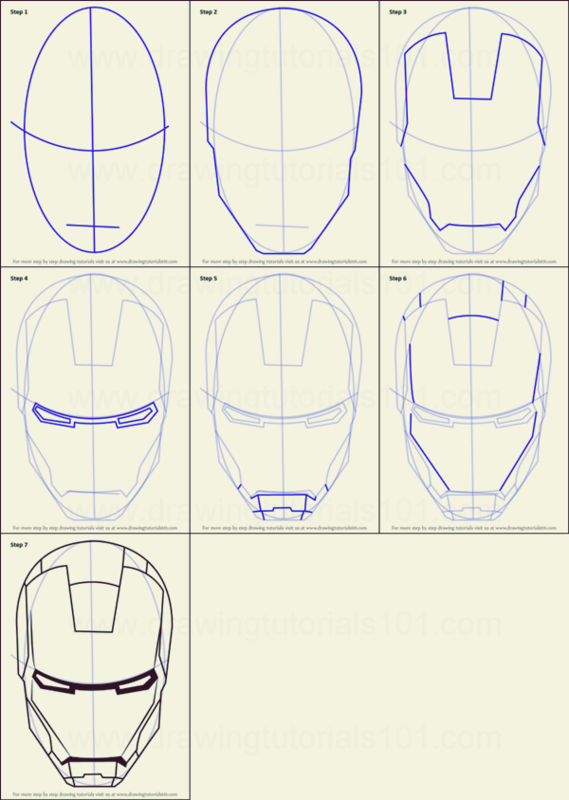 Thankfully, if you are one of those who like to draw your favorite hero Iron Man, you need go to the extent of having to learn about the intricacies of how to draw anime eyes. As you may know Iron Man is the story of an industrialist who creates a suit of armor using iron to protect himself and soon realizes that he can use this to fight crime which is what he does. What attracts people to this character is the fact that it is really high-tech. The best part is that it is not complicated like compelling and creative charcoal drawings to capture your eye and is pretty simple once you grasp the basics. While you are in the process of learning how to draw iron man, you can also learn beautiful illustrations of paper toy art. 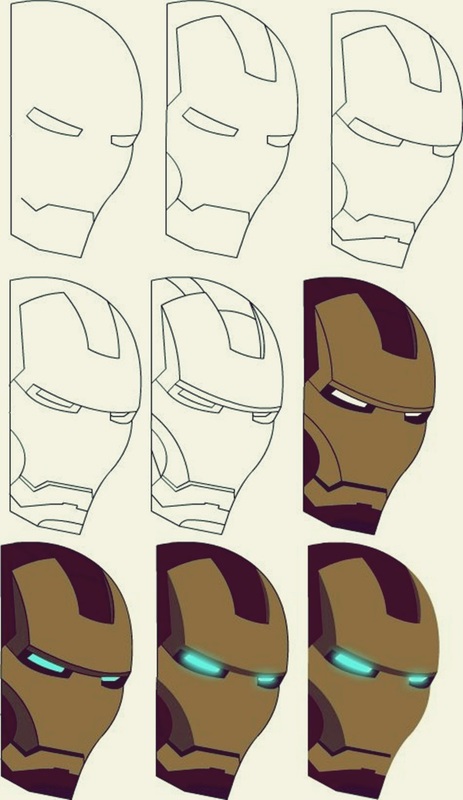 The first thing you need to do is pretty obvious; check out what Iron man looks like. Yes, we know that you already know what he looks like but that is not what we are talking about here. We are talking about doing a real study, a study so deep that you know all there is to know about Iron man. You know the way his body is shaped and where it bugles and were it tapers. All the angles on his body can still make the muscles show through. 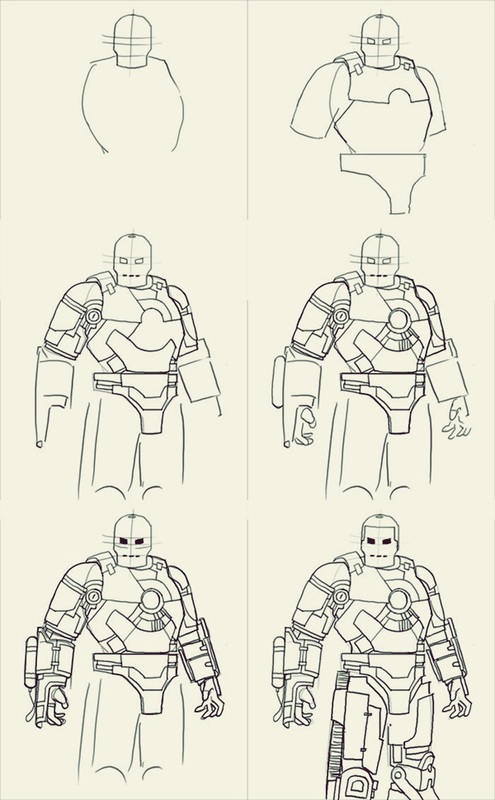 To draw the Iron man in his full glory, you will need to start with his outline. We suggest that you start with the head and then move on to the outline of the torso and then move downwards. 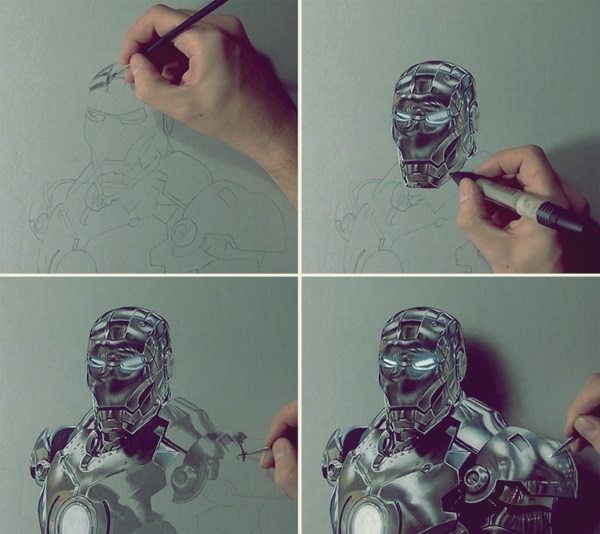 The details of the metal armor he wears can be filled out later, but before you do, you need to get the outline and lines of the armor right. 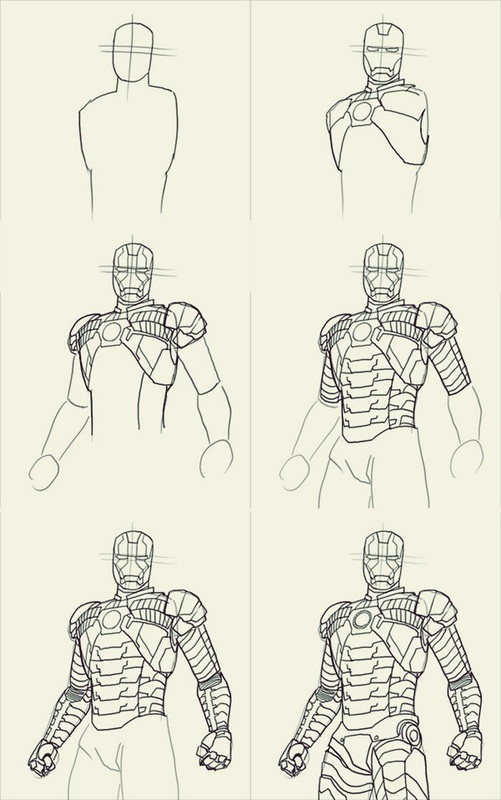 Start with the basic drawing of the Iron man with his typical pose where he stands straight, head slightly back, shoulders at attention, arms a forming a slight v towards the back and legs spread wide. A mere look at him would tell you that while he looks at rest, he is very alert. He is probably take you down if he even remotely sensed that you were about to attack or pose any trouble to him at all. 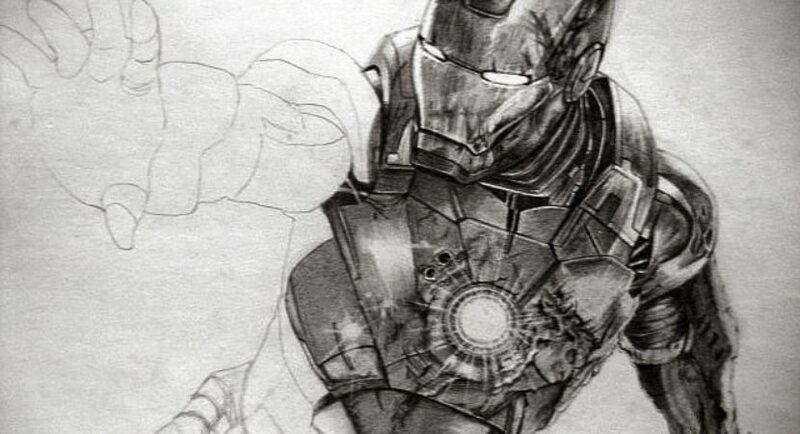 The armor of the Iron man is a metallic red or maroon with accents of gold to provide some relief. The face does not have features but a metal helmet with a slit for eyes. 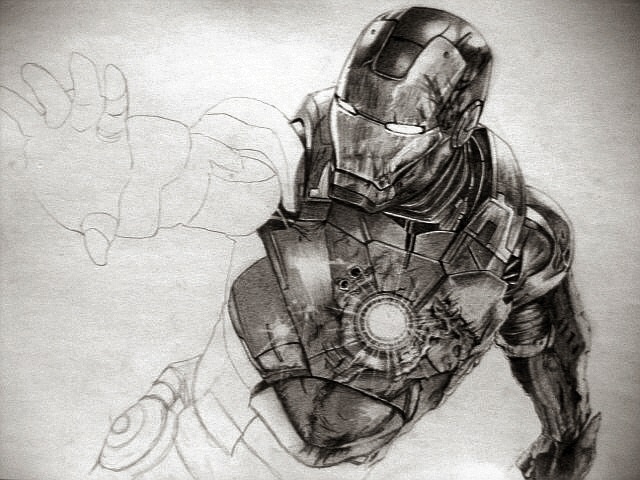 The best part of Iron man is that he has angular metal on his body so that you need not learn to draw skin and its texture. There are obviously some areas that seem to have extra padding in the form of metal of course, what else do you expect from Iron man? Of course, he has some high tech weapons that come to his defense when he wants protection. 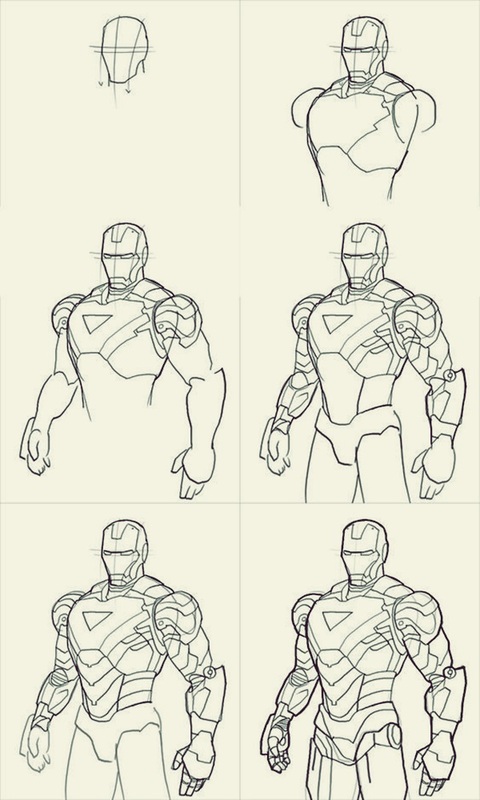 Once you have the standing pose of the Iron man down pat, then you can do other drawings of the super hero. 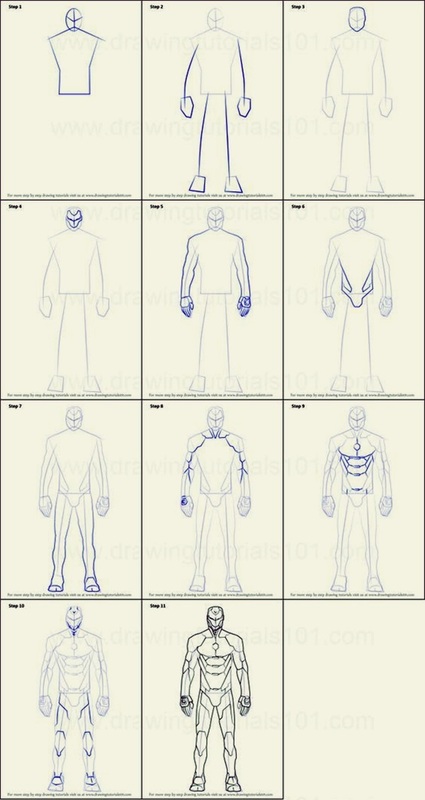 We have given many images of how you can draw Iron man, do check them out for a complete visual guide.